Because the bar is such an important aspect of any event, it’s important to integrate the design of your bar into the overall event décor to help amplify the mood. 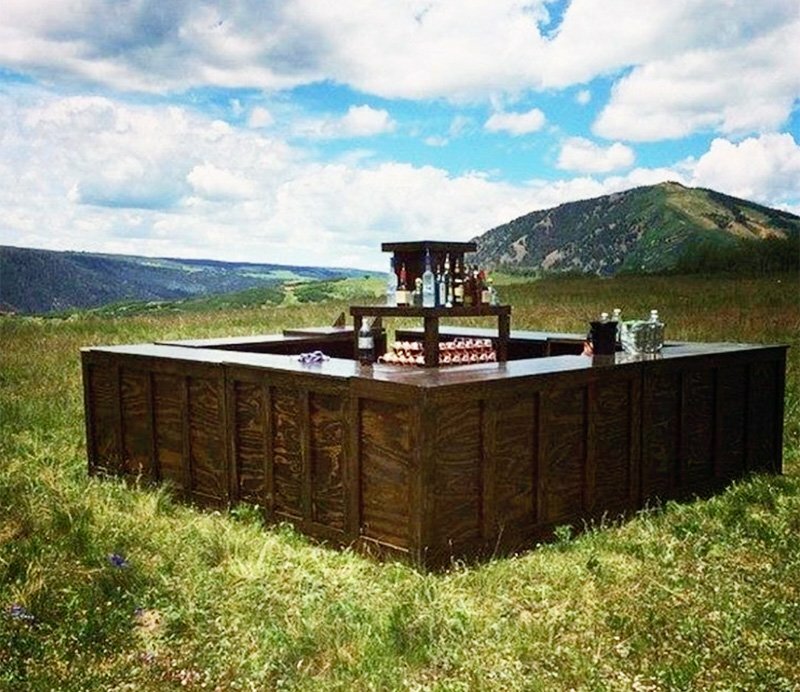 So with that in mind, I’m excited to welcome Samantha Sackler of designer8* Event Furniture Rental to the blog today – to talk about many of the different options available when it comes to bar design. I bet there are way more than you think! 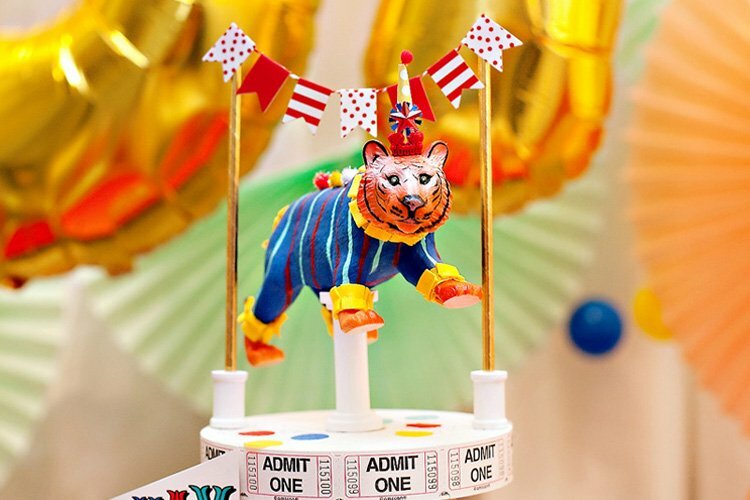 Like all aspects of an event, the bar is an opportunity to make an impression on guests. It’s more than just a place to grab drinks! The bar is also a focal point of social interaction and a buzzing area at any event. The design, setup and style of your bar can impact the overall experience of your guests and should reflect the desired tone and mood of your event. 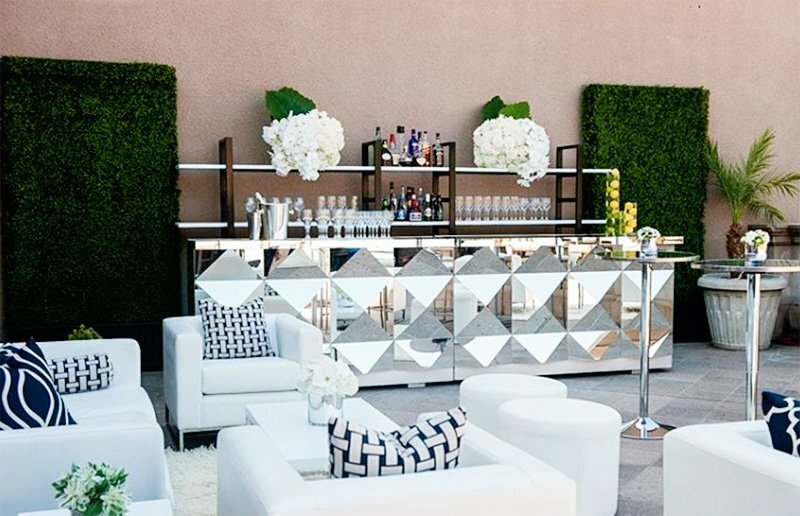 Whether indoors or outdoors, mirrored bars are unique fixtures at any event! They are modern and elegant at the same time, and can work for just about any occasion. 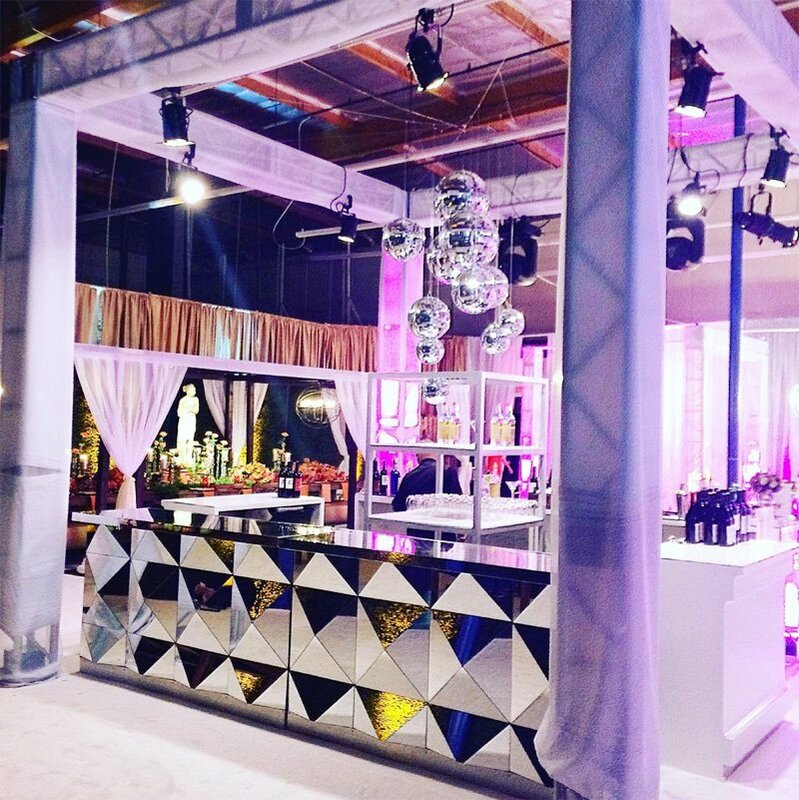 Unique styles of mirrored bars – such as the diamond mirror pattern shown here – can add a one-of-a-kind touch to event décor. Mirrored bars are also very visually captivating because they reflect light and their surroundings. Opt for a classic white bar if your event calls for a contemporary look, sleek lines and sophistication. From corporate events to intimate gatherings, the sleek look of a white lacquer bar adds chic style to any gathering. For a stand-out, modern look, pair this style of bar with colored stemware or stemless glassware. Wood paneled bars add warmth and invite guests to relax and have a good time. 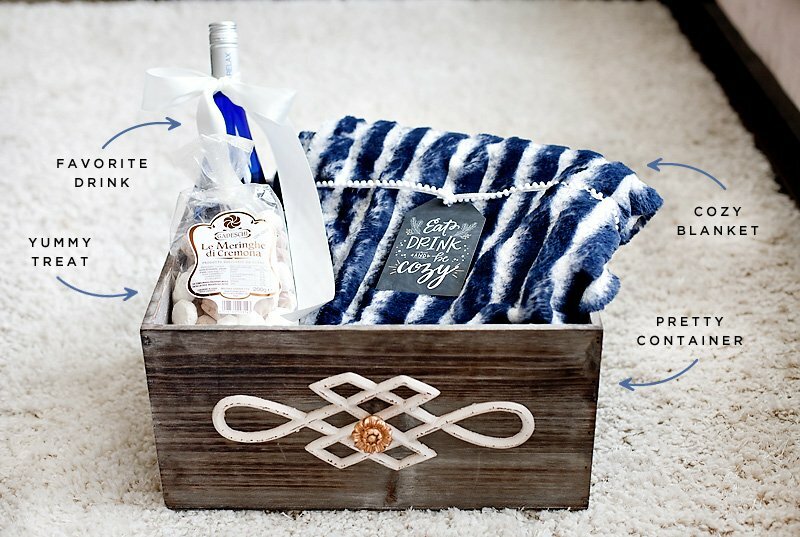 They’re also perfect for the rustic-chic wedding look that’s popular with brides. Combine them with elements like wildflowers, neutral-colored linens, mason jar drinkware, lanterns, and candlelight. Corrugated metal and wood create the perfect combination that says “industrial yet sophisticated”. These bars are ideal for venues with exposed brick walls, warehouses, and lofts, but they also work well in garden party settings with lots of greenery. Consider pairing them with other industrial style design elements like metal chairs, wooden communal tables and unique lighting fixtures. 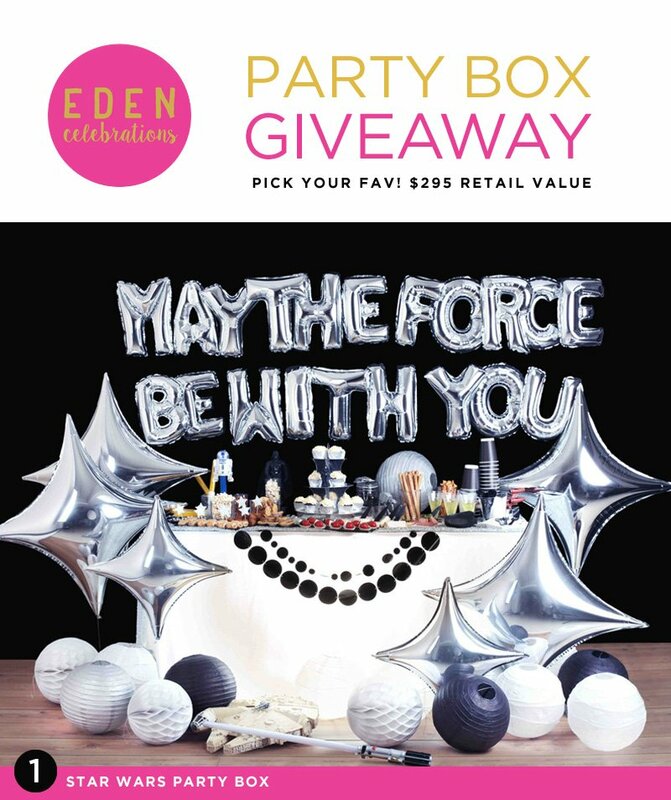 A movie premiere or evening event calls for something extravagant to add glam and luxury! Leather and suede bars create a sleek and sophisticated look that’s perfect for high-end events. 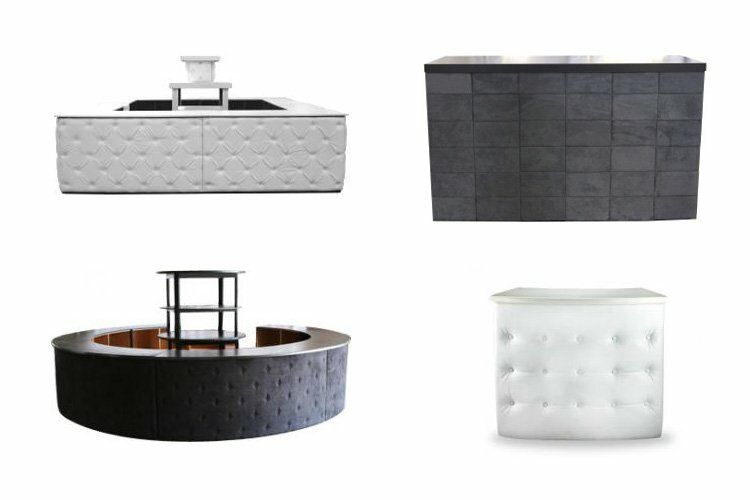 Whether it’s done in bright white or striking black, leather and suede bars add texture and a unique touch to any event space. 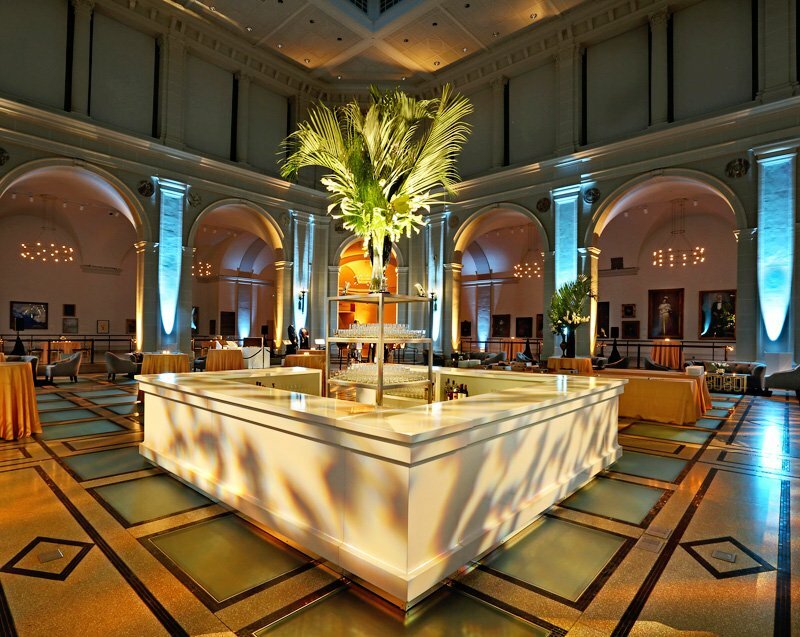 Light up bars add a whole new dimension to your event décor. 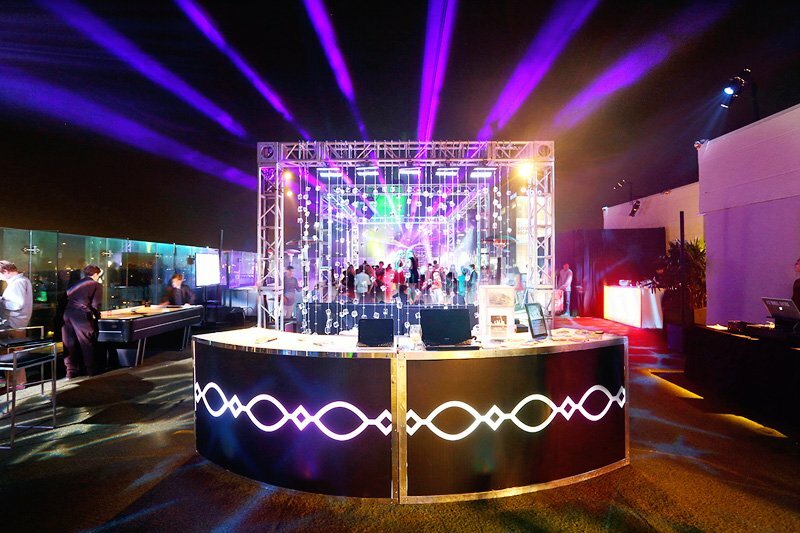 Powered by LED lights, light up bars can be customized to match the color scheme of any event and create a true focal point for your guests. These are especially great for evening events, and they work well with modern venues. 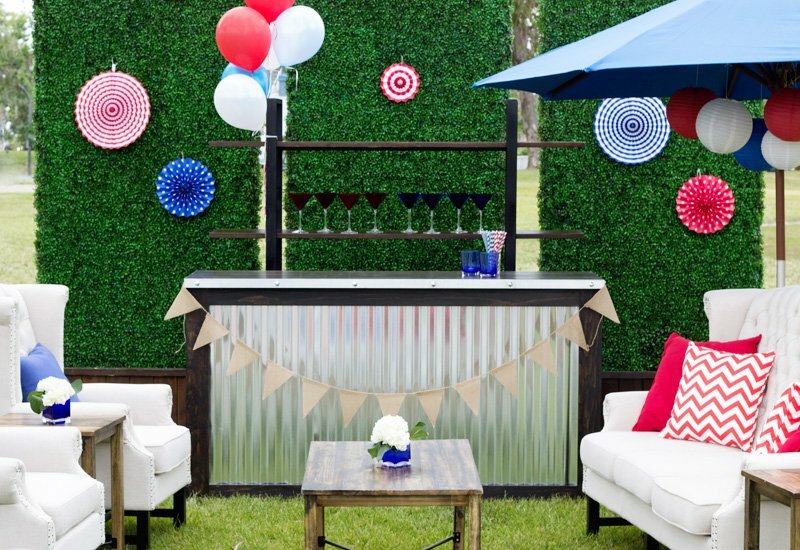 Typically available in modular format or curved shapes, light up bars add personalization and a touch of excitement to any celebration. 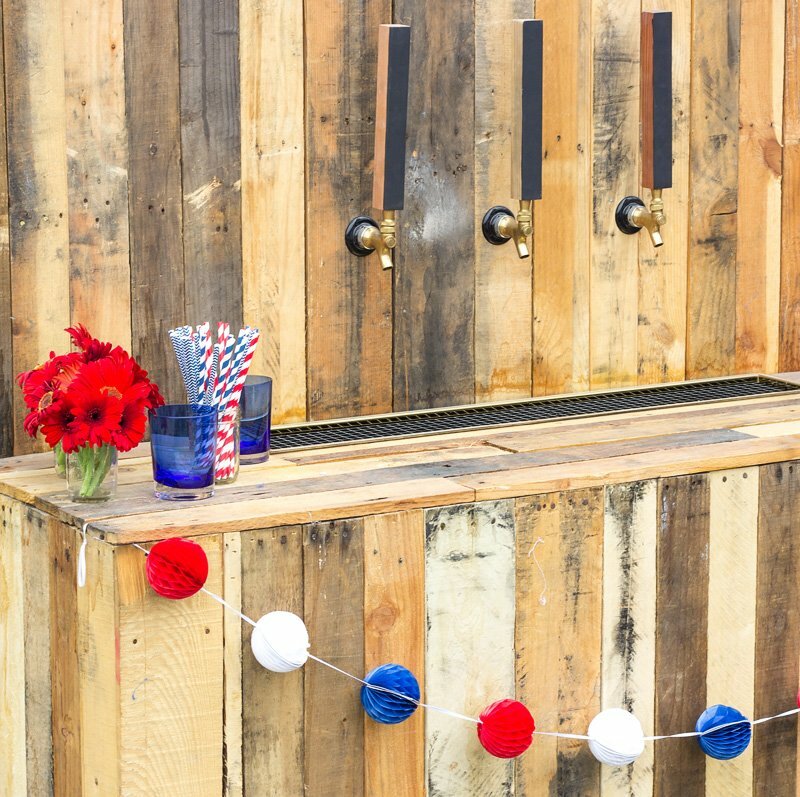 Most bars are available in a variety of sizes and configurations in order to give event planners and venues ample flexibility to design the perfect look. Whether you pair multiple bars together for a grander look or create a unique configuration with modular bars, you’re only limited by your imagination. 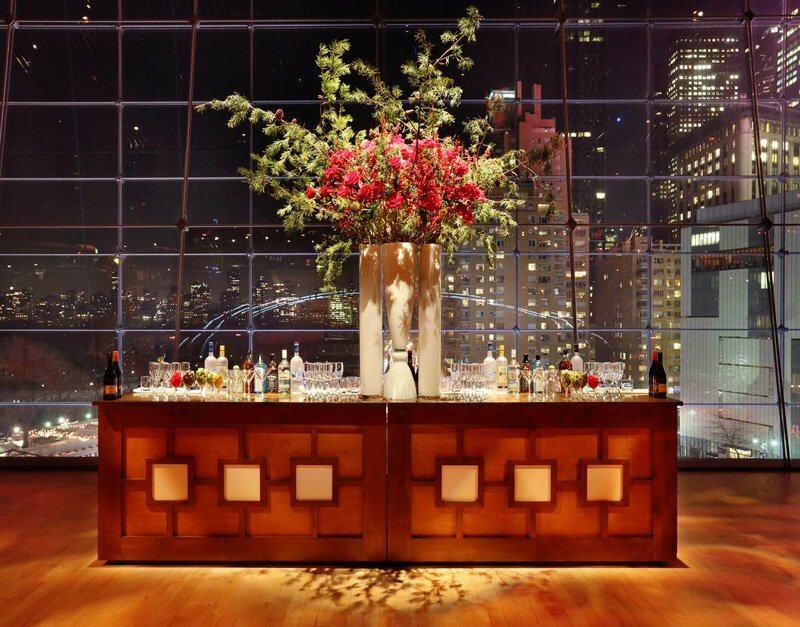 The right arrangement and location of your bar will make it easy for guests navigate your event. Venue – The venue will highly impact the type of décor you choose and should be used as the canvas for the entire event décor. 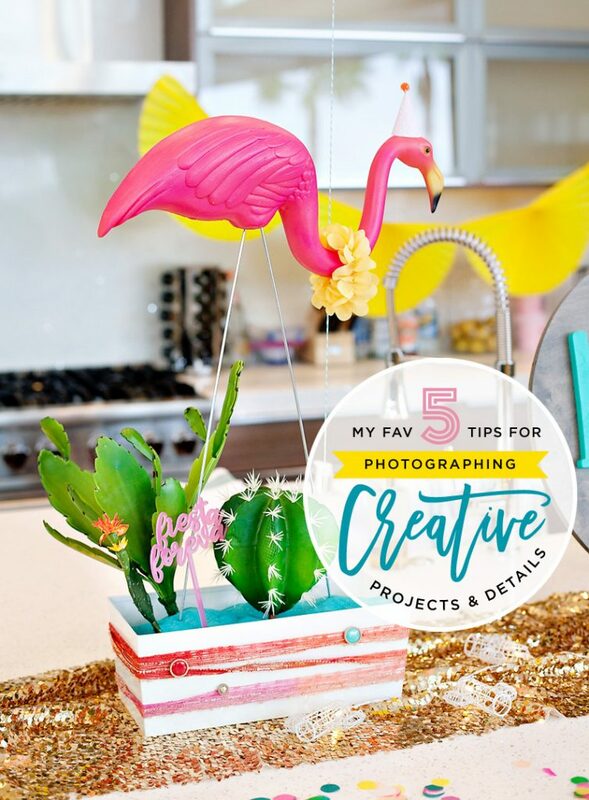 Theme – Premieres, launch parties and weddings are heavily influenced by themes that will dictate the type of style your entire décor should reflect. 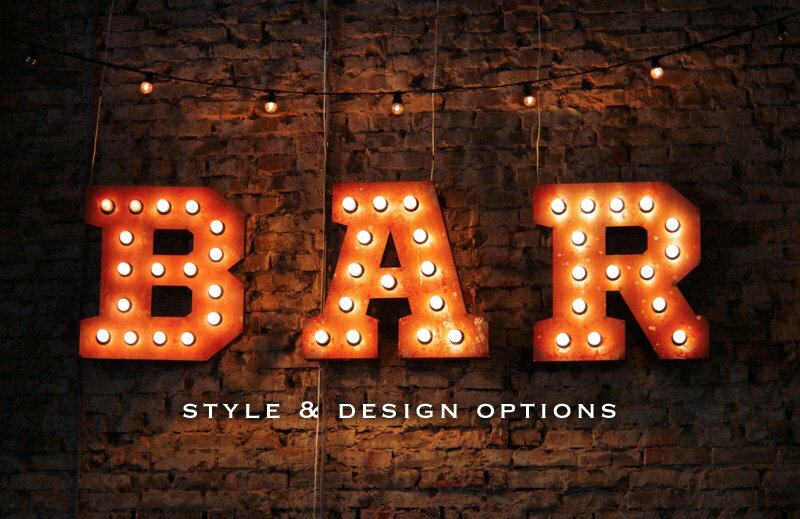 Menu – Your menu too, can help determine the best bar style for your particular event. Touching base with your caterer can help determine the overall presentation of food, which can be just as important as the food itself. Samantha Sackler is the CEO of both Samantha Sackler Productions and designer8* Event Furniture Rental, as well as Partner in Infinity Marketing. She has a vast knowledge within the event industry boasting more than 20 years of experience. Samantha designs and produces high-end social events, movie premieres and many corporate conferences/events. Such great ideas. I do a lot of creating for wine themed events so this has inspired new ideas. Thank you! These are some great tips; after all, depending on the type of feeling you’re going for, you’ll want a different kind of bar. I particularly have always been fond of the warm, rustic look that wooden bars can provide. They can really make for a nice place to socialize and lounge around in.